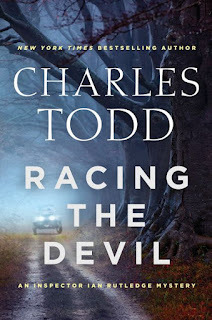 Florey's Book Co.: Florey's Book Club: 'Racing the Devil' Oct. 25th! 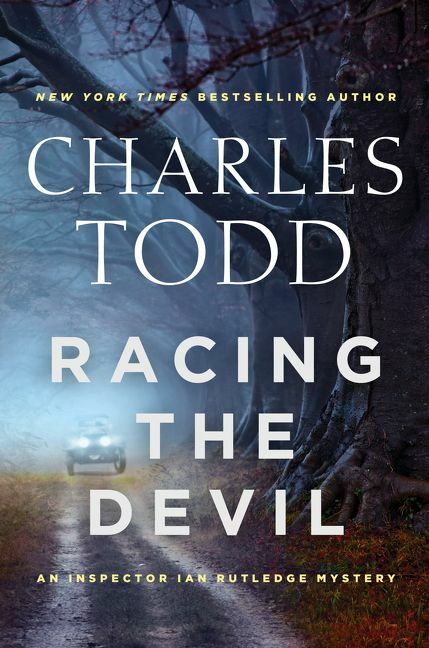 Come by for a chat about our October book, 'Racing the Devil' by Charles Todd. In late June 1916, before the bloody Battle of the Somme, several English officers have a last drink before returning to the Front. Besides the war, they also have a passion for motorcars in common. Daring fate, they swear to meet in Paris a year after the war ends to celebrate their survival by racing motorcars from Paris to Nice. In November 1919, five remaining officers set out for Nice. But in the hills high above the coast, one vehicle is nearly run off the twisting, fog-shrouded road, while another is sent over. No one saw the driver of the rogue motorcar. A year later, in England, a local vicar driving along the Sussex coastline in a blinding rainstorm loses control and is killed. Was it an accident? Another set of tire tracks raises suspicions of something far darker, especially since he had borrowed the motorcar from a neighbor who had fought on the Somme. Was this a case of mistaken identity, in some way connected to the rogue driver in the mountains above Nice? Or was the dead man actually the intended victim? Scotland Yard Inspector Ian Rutledge discovers that there is an elusive killer here on the high chalk cliffs, one who shows no mercy, hunting his prey with a cunning learned in the trenches.